Do you feel like going to a UMO Helsinki Jazz Orchestra concert but going alone gets you down or seems difficult? That is what Culture Companions are for! A Companion will book the tickets, help you to find your way to the location and accompany you to the concert. Both the concert ticket and the Companion’s assistance are free of charge. All UMO Helsinki´s concerts taking place in Helsinki are included in the scheme. 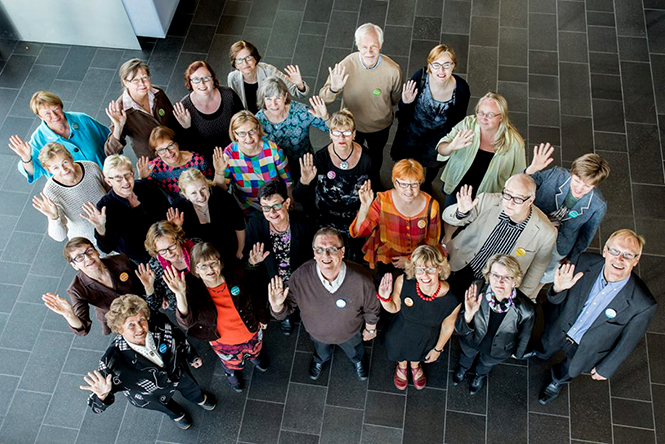 The Culture Companions are volunteers trained by the City of Helsinki. The service is aimed at over 18-year-olds and coordinated by the City of Helsinki Cultural and Leisure Services. Call the number (09) 310 58237 (Mon-Thu at 10–13). Name the event that you are interested in. Your Companion will reserve you a ticket and contact you. Agree a time and place for your rendezvous. Welcome to the concert!